Ahlberg's late wife and artistic partner, Janet, died in 1994. 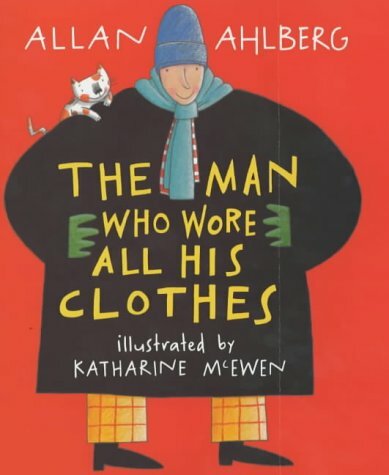 In his memoir of her, Janet's Last Book, published in 1996, Ahlberg wrote: 'The Gaskitts, had they come off, would have been a set of easy readers with titles like The Man Who Wore All His Clothes ... We had in mind a sort of family soap set in a universe where pets could talk and everything was animated.' Well, now the Gaskitts have come off. Their new illustrator, Katharine McEwen, is an excellent choice. Her style is not at all like Janet Ahlberg's - much bolder, brighter, and less detailed - but she is fully attuned to the wit, fun and domestic affection of familiar Ahlberg texts from other times. The result is something old, something new, and altogether engaging. The main story is a high-speed chase in which the Gaskitt family - father, mother, and twins - scattered across three separate vehicles, are all pursuing a bank robber, while the family cat observes their exploits on TV. As events unfold, small hints predict the Christmassy conclusion. And over all is the sense of humorous warmth which brings the Gaskitts to life as a happy if slightly eccentric family. The book is a delightful blend of farce and just slightly over-the-top normality. We should all be happy that the Gaskitts have finally come off, and the last page gives a welcome hint that we shall meet them again.